Perfect Laughter Detroit paid me a visit! Last week Dennis and Christina from Perfect Laughter came out for a visit to Grand Rapids to check out ArtPrize and received a complimentary studio tour… Those wonderful people posted about it on their site!!! Check it out at Perfect Laughter! 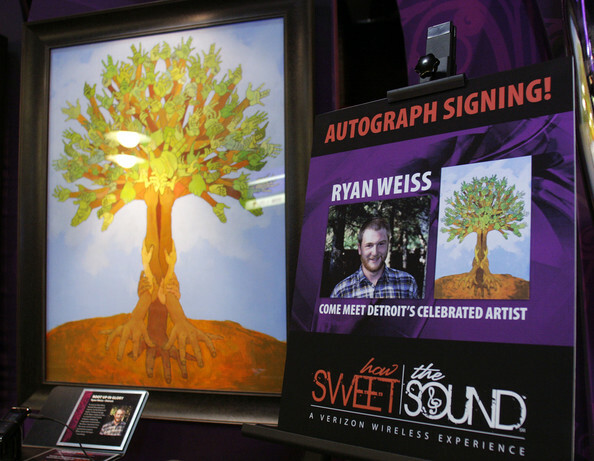 At the beginning of this year Verizon Wireless approached me for a commission to represent the city of Detroit in a painting to support it’s chiors in a nation wide chior competition called How Sweet the Sound. The painting was used for advertising the event on billboards, bus ads, newspapers, web and television. 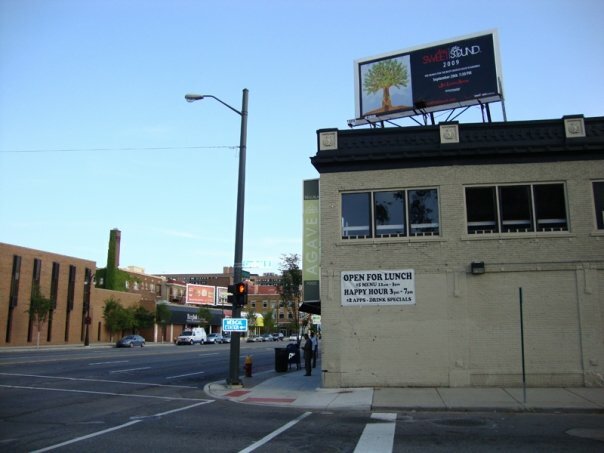 The painting toured 11 different cities with the competition and was donated to the YMCA of Metropolitan Detroit. Also you can download it as a wallpaper on your cellphone. We *The GR 8* painted a mural in front of Biddle Gallery a while back with the A/V Kids. We just got the video cut. Edited by GR 8 member Ben Pozniak. The GR 8 is a conglomeration of 8 artists from a wide variety of backgrounds who all have ties to Grand Rapids, Michigan. We have come together to make a splash in the ArtPrize competition (http://www.artprize.org/). We are coming up with a fierce multimedia assault for this competition. I went to Grand Rapids to part take in a 26ft wide chalk mural with three other GR 8 members, George Eberhardt, Ben Pozniak and Matthew Geerling on the WMCAT (West Michigan Center for Arts and Technology) Building downtown off of Fulton and Division. We took time lapse video of the mural going up. Keep your eyes and ears open and stay tuned! Plenty, plenty, plenty more sights to see.